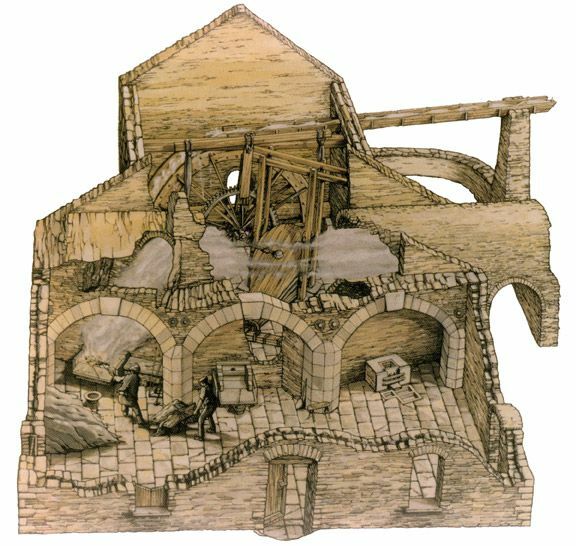 The diagram above shows a cutaway model of the smelt mill itself. Note the hearth on the left with the large bellows in the back room driven by the waterwheel. 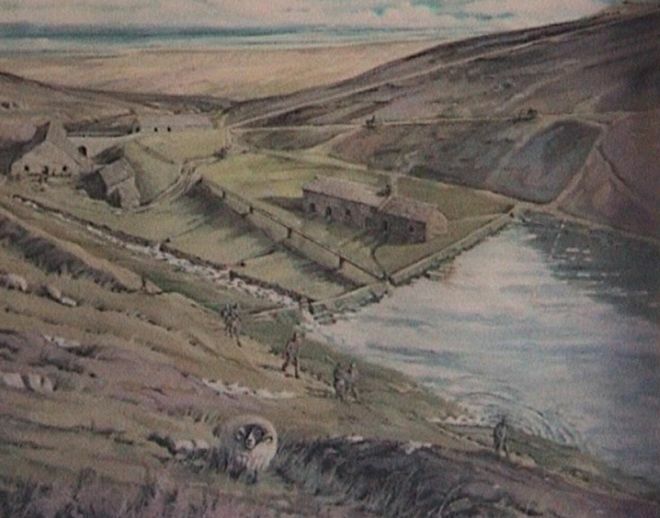 The three arches of the hearths have been removed – many old Dales buildings were removed completely to provide stone for new buildings – and the central hearth replaced by a sheep dip. 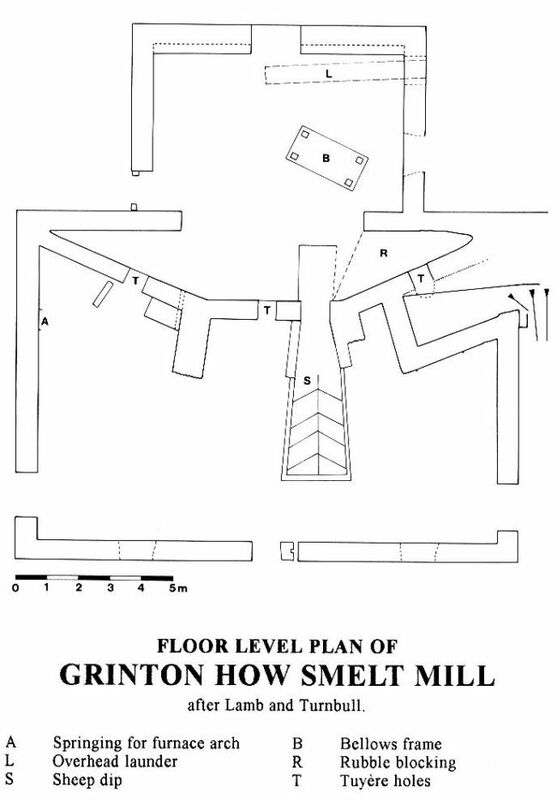 The diagram below shows the current floor plan of the mill building, including the sheep dip. The map below gives an idea of how the original buildings may have looked in the wider landscape. 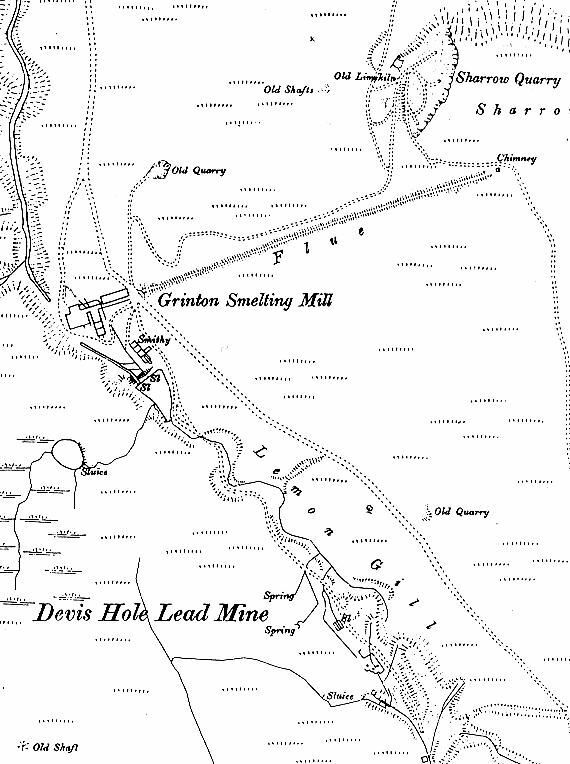 The map dates from 1891 and clearly shows the relationship between the buildings and the flue and also shows the mill pond and dam and the extent of the flue and chimney. It is also worth noting on the map the 'old shafts' and also the quarries and limekilns (particularly on Sharrow Hill to the NE which can be clearly seen in the video) which provided the raw materials for the construction of these buildings and other local buildings. The image above is an artists impression of the layout of the original buildings and earth works.